U4 REGEN - Rejuvenate your mind and body for optimal health. U4 REGEN-- This is our latest addition to the U4 class. Subtle yet very powerful. This is a non-racy, relaxing formulation designed for focus, energy and strength. People report quickly obtaining a serene, reassuring feeling with dramatic increases in verbal fluency, providing a great benefit to any kind of social situation. Make your mind razor sharp. Focus longer. Feel great and do more. 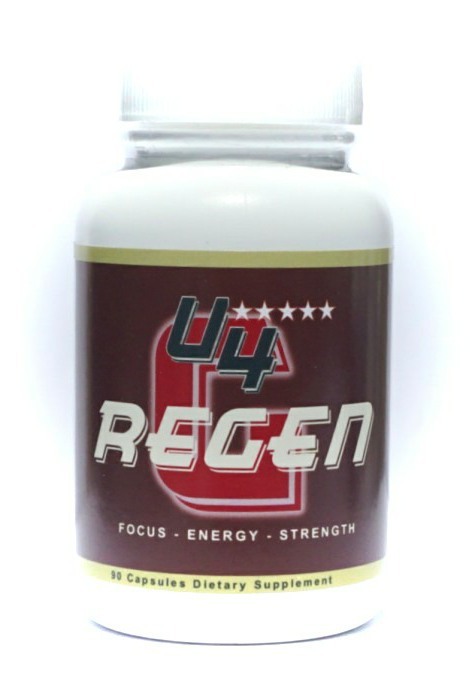 U4 REGEN dramatically improves neurological function by protecting it from toxins, oxidative stress and physical trauma and most importantly by improving nerve cell firing and communication. N-Phenylacetyl-L-Proliglycine Ethyl Ester -- Shown to improve many aspects of neurological function including focus, cognition, memory and learning. Also shown to increase levels of key ‘brain health’ peptides: NFG and BDNF. Methyl-Cobalamin & Vinpocetine, shown to improve cognitive performance by increasing more oxygen and nutrients to the brain.